HFM3 – Scientific Solutions Inc. 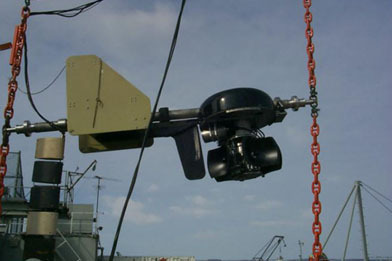 The High Frequency Marine Mammal Monitoring system is utilized in conjunction with Navy Low Frequency Active towed SONAR arrays to alert operators to the presence of marine mammals – a situation which requires the cessation of all SONAR operations to avoid serious physical harm to the animals. Due to the high power levels and potential harm associated with these large, low frequency active SONAR arrays, HFM3 is now a court mandated, mission critical system on a number of military vessels.